In my Typography II class, we were tasked with creating a fake business, name and all, and then creating a brand presence for that business. I chose to make a fake Italian coffee shop. 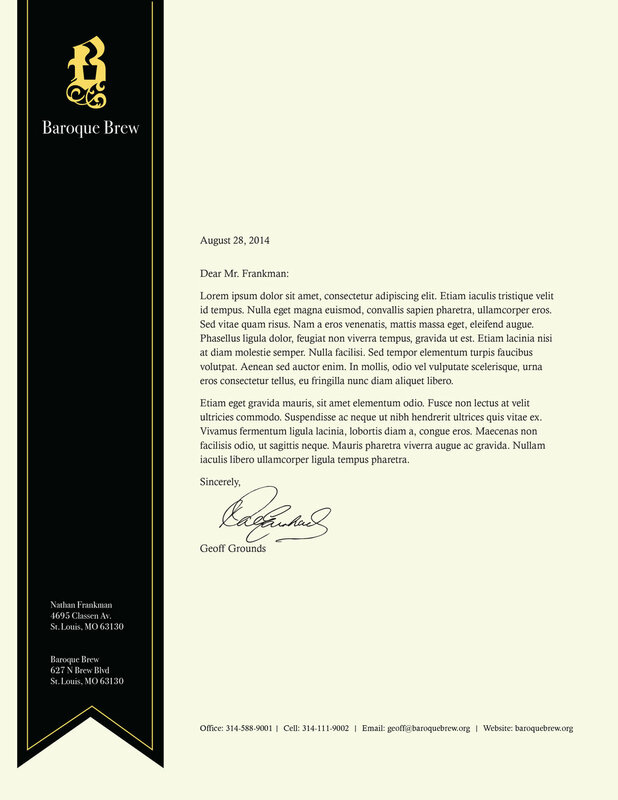 After much deliberation over the right name for the business, I settled on Baroque Brew. 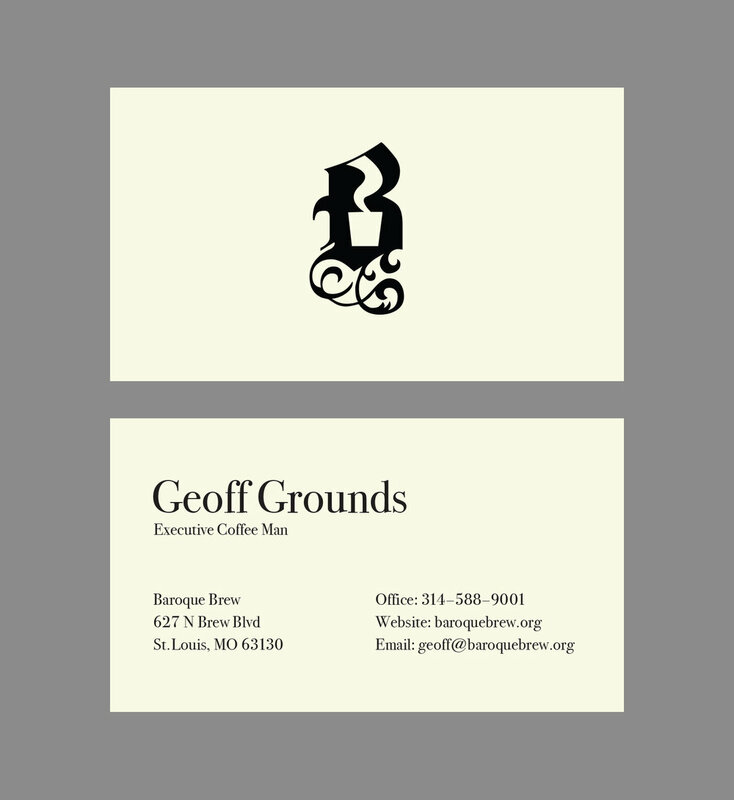 I decided to base the design off blackletter type with a slight twist. The objective was to make a unique logo as well as a brand symbol, so in the negative space of the "B" I decided to make a subtle coffee cup. That way, the "B" could serve as a recognizable logo on its own, or it could become part of the full logo.